Midlands Centre had a stand here for the first time at last year’s show. As we had an excellent response from the members and other visitors Peter Dodson set about organising our presence again this year. 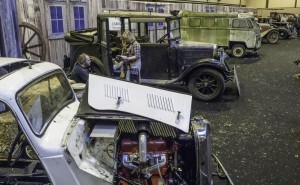 Unlike the Classic Motor Show in November, this show is not glitzy and full of concours cars. 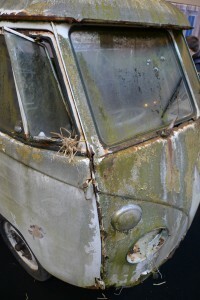 It is the opposite in that there a loads of rusty project cars and the carpets are replaced with straw and saw dust. 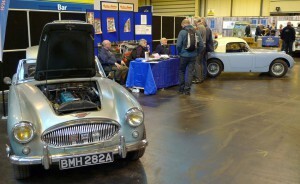 We only had two cars on our stand, Peter Seamen’s excellent MKI Sprite and Charles’ Macnamara’s BJ7. I hope that Charles won’t mind me describing his car as “well used” but it was just the ticket for this show. 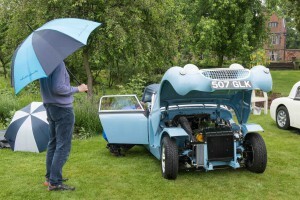 Visitors could be seen pointing to and examining various parts of the car, probably thinking “I would replace that bit” or “that bit could be repaired” and asking “can I sit in it?”. It was a good talking point. 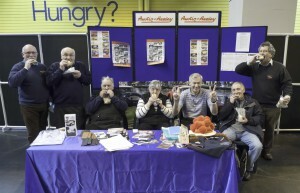 We had a steady stream of visitors over both days with questions about Healeys and the Club. 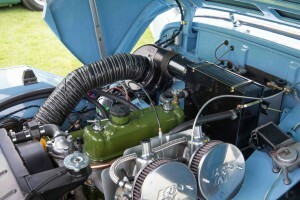 Many were Club members with their own ongoing restoration projects. 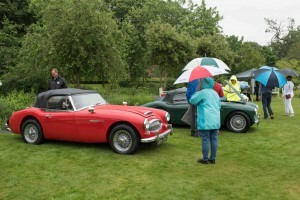 Elsewhere, one make clubs were well represented and there were some concours cars. 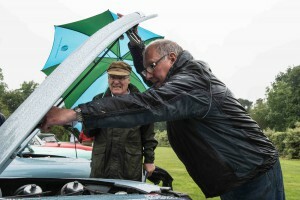 Fuzz Townsend with his trademark beany was seen about as were Mike brewer and Edd China with their stage shows. 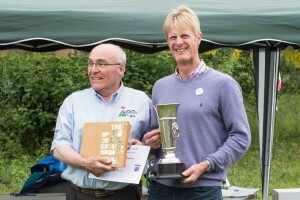 Silverstone Auctions were attracting a lot of attention and Club Member Ian Snelling was doing brisk business with the Sporting Bears charity rides. As usual, I went over budget amongst the trade stalls, returning home with carrier bags bull of goodies. 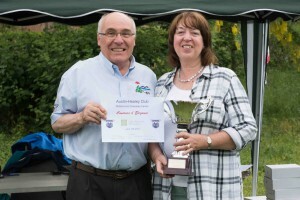 Report & Photographs by Robin Astle. 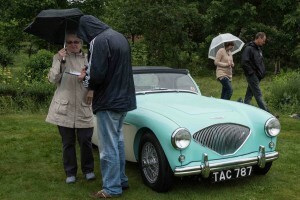 The venue for this year’s annual concours was the delightful Castle Bromwich Gardens. The house built in 1599 is surrounded by an English Baroque garden. The 10 acre walled garden contains over 600 species of plants from the period. 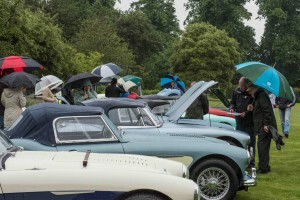 A good mixture of Big Healey’s & Sprites braved the weather. Light Showers were the forecast but someone thought otherwise and it poured. 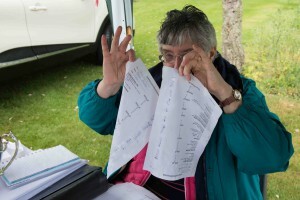 The judges had a hard time judging the cars in these conditions, marking sheets with the water running off them. Planned Drive & Lunch August 2016, Switherland, Leicestershire.